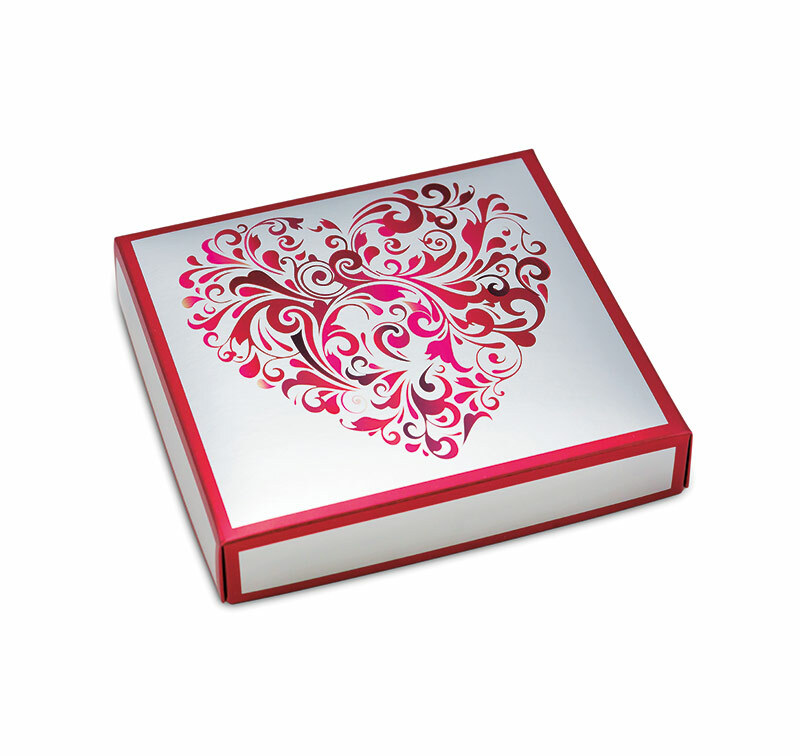 This beautiful Silver Swirl Heart Gift box contains our favorite asst. sugar free chocolates. 2 pieces mini peanut butter cups, 2 mint truffles, 2 espresso truffles, 2 dark chocolate truffle, 1 milk cordial cherry, 1 dark cordial cherry, 2 NEW milk chocolate coated Vanilla Caramel with Sea Salt, 2 dark chocolate vanilla caramel, and 2 milk chocolate vanilla caramel. 16 pieces total and OF COURSE ALL SUGAR FREE! Gift box measures 5 1/2" x 5 1/2"